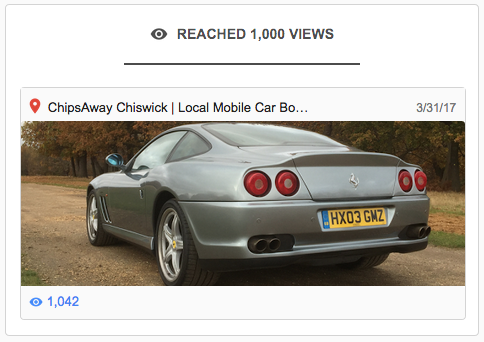 One of our staff has a bit of a thing for Italian sports cars. 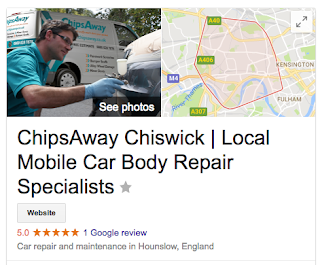 His needed a repair, so he used a company called Chipsaway. Before doing so he consulted every resource on the web - the marque forum and all the review sites. 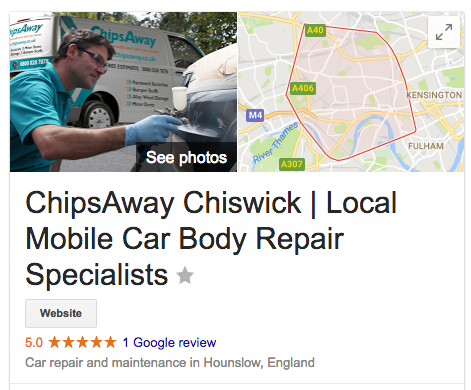 Chipsaway's local franchisee had no reviews on Google, but was so convincing when he visited to quote he was given the job. Today - five months later - our man received an update from Google (he's a local guide). What did that reveal? Now, Google guard the metrics of their page-views very carefully, but this is pretty conclusive evidence that Google reviews are reaching a very wide audience indeed. So what do businesses need to do to be seen in 2017? We would humbly suggest that they need reviews on Google. Way over and above any other site. ...not to mention great independently verified reviews of their own on their own website. 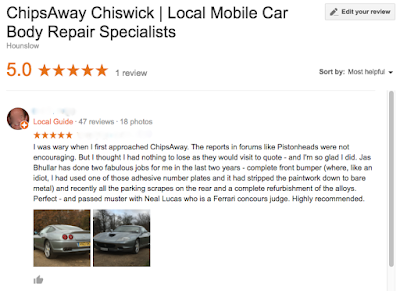 Thanks Jas; you did a great job, and we sincerely hope that this review has helped - it has certainly helped us understand just a little more about the power of Google reviews.